1. 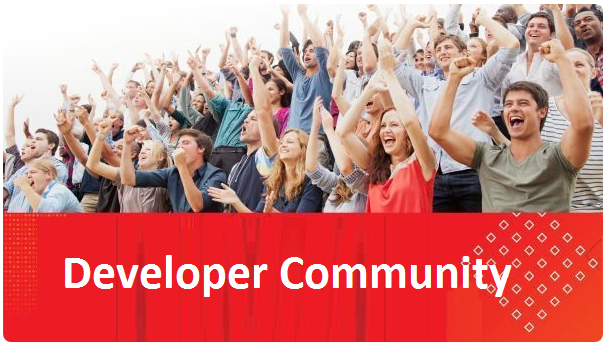 Start your Oracle Developer Cloud Service by following the instructions in Accessing Oracle Developer Cloud Service Using the Web Interface. 2. Provide your identity domain, user name, and password, and click Sign In. 3. On the Welcome page, click New Project. 4. On the first page of the New Project dialog box, enter a name for the project, such as My Web Application. In the Description field, enter a description, such as Web Application. Select Private for the Security setting, then click Next. 5. On the Template page, select Initial Repository, and then click Next. 6. From the Wiki Markup drop-down menu, select TEXTILE. In the Initial Repository area, select Empty Repository, and then click Finish. 7. Wait for provisioning to complete. After provisioning completes, the project is fully provisioned. You’re on the project’s Home page, which displays the URLs of the Git and Maven repositories. 9. Get the tutorial here.